In recent times, many people have wondered why Nigerian experts dump their professions practiced back in Nigeria and cling to the nursing field upon getting to the United States of America. Most of us are aware of the many challenges immigrants face abroad just to have a source of income to carter for oneself and or the family. For this reason, options are placed on the table for a choice to be made. Those who seem to have troubles getting professional jobs are those who were or are not in the medical line. However, those who had been nurses back in Nigeria find it very easy getting into the medical profession in the US even against those who were medical doctors. 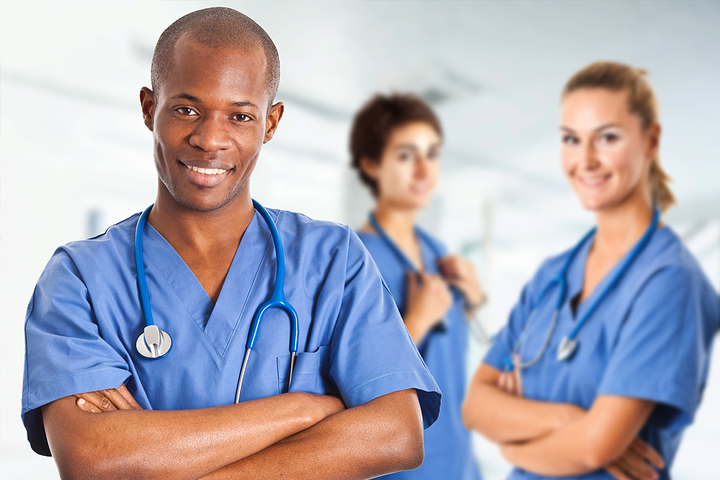 There are Nigerians who had been medical doctors in Nigeria but have become nurses in the United States of America. The most motivating one is about those who were once bankers, journalists, lecturers etc. in Nigeria, later to become nurses of various qualifications ranging from certified nurse assistant, geriatric nurse assistant, licensed practical nurse, registered nurse and nurse practitioner. 1. High demand for health workers: there are a lot of Nigerian journalists, bankers and experts from other fields who have left their fields for nursing because when they compared the rate of job availability of professions, nursing is one of the top ones. Thus, the high demand for health workers especially in the nursing area is one of the reasons. 2. Remunerative: The pays given to a registered nurse (ranging from $25 - $40 per hour depending on years of experience from fresh RN) or a nurse practitioner (MSc or PhD holder with pay ranging from $60 and above per hour) are very tempting. For all these to be possible, there’s the need for an upgrade educationally though. It is not as if other professions like the banking or engineering industries in America do not pay as high as that or even more than what the nursing profession offer, the problem is the availability of jobs in them. The number of years one will be waiting to get into an engineering company, one may have gotten another degree. So, instead of waiting, these guys switch over to become a nurse. Don’t get it twisted, there are still Nigerians in America who happen to be top bankers, engineers and the likes. 3. Failure to pass professional exams: There are lots of Nigerians who were medical doctors in Nigeria but have not been able to pass the medical board exams in the US. There are those who were in the banking sector in Nigeria but were not able to pass professional certifications to enable them blend into the banking system. Some of them could not wait anymore as they have things to take care of financially. They have no other option but to switch to nursing. Although, there are still some other Nigerian doctors who are still bent on passing the board exams despite the many years of trying to. Some were able to pass the medical board exams and are made for life. 4. Less competition in job position and school admissions: There are jobs that are usually reserved for mostly the whites or the Black Americans. For instance, customer relationships or front desk are usually reserved for them. The African accent is always a barrier here. They tend to always keep that position where it may not really require much of communication with patients. There is also no competition getting into their schools as far as you beat the criteria and can afford the fees per credit. Nigerians are ready to go to their schools like Bowie State University where they pay about $700 per course credit. That is to say if a course is 2 credit units, the course is $1400 a semester. Very few Americans get serious with school even though there may be student loans available. Because it is less competitive to get admission into their nursing schools, there are lots of Nigerians found studying nursing and other health professions. Some of these Nigerians may have had the desire to study nursing back in Nigeria but had no support. Once they stepped into the US, they grabbed it. 5. Flexibility of nursing shifts - For some Nigerians who travel about, it is easier for them to work as nurses on PRN basis (as you want it). Nurses have the opportunities to have up to two or more jobs at once. They work their shifts around and can decide to work double shifts (16 hours a day). When people consider all of these, someone who was an expert in another field might be tempted to take it up. It is not a bad idea to be studying or want to study nursing once abroad especially in the US. It is also not entirely bad to remain in your own original profession depending on how your passion drives you, but first, set priorities to warrant which one(s) to take up. it's all for the money bro. It's worth venturing!